I've had a love/hate relationship with Confetti, but since I heard there was some issues with this brand getting a restraining order/sued I don't know the legal jargon, I decided to grab some more. The color I got was Debutante. Let me just say I probably would of been better off not purchasing this one, but you can doctor things up, right? 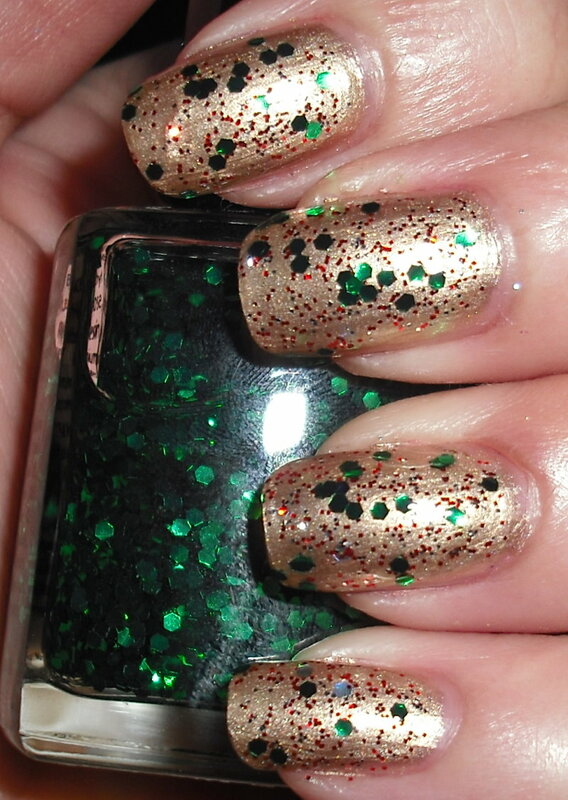 Here is Debutante with Revlon Slipper and Eva Green Hex Glitter layered over it. Meh, I'm not sure if this is cute or looks like Santa Claus and his elves threw up on my nails? I'll leave the up to you all to decide. I kind of like it, but if I were do that I think I'd do it on my ring finger only and paint the rest green or red. I think as full mani this would be a bit too much for me personally. I would definitely go with accent nail for this. You totally have the right idea on that score. The bling helps....maybe even some gems set as an accent on your ring finger and the other nails done with the red and green you added??? I hate Confetti's wonky brushes and isn't just like us to run and buy up lacquer when we know we might lose the opportunity...even if it is an ugly color. You could maybe franken this with a deep copper eyeshadow??? I agree - the bling helps! I don't care for Debutante alone, but the glitters really help. Elf puke...LMAO! Not my taste, but to each there own. 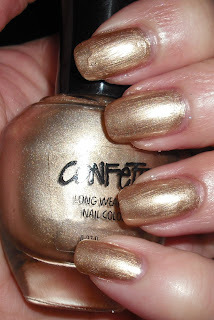 I would totally wear this as a full mani, love it! 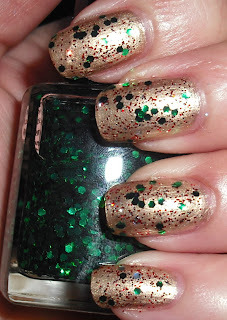 I do like the mani with the glitter, I think it'd be perfect for Christmas! Not really a fan of the polish on its own, though. It looks good on your nails! The shade of gold works fine on my skin tone; it just seems to lose its shimmer when the paint dries. 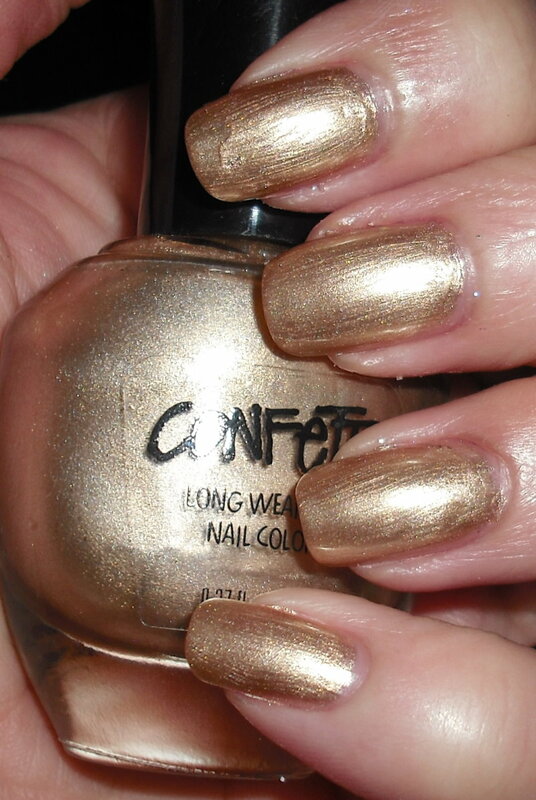 I remedy it with tiny gold glitter - "The Gold and the Beautiful" by Wet 'n' Wild, 2 coats.